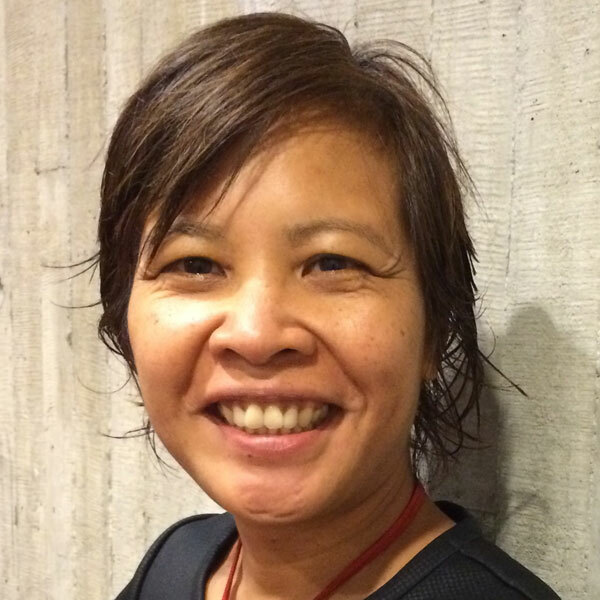 In summer 2016, journalist Putsata Reang worked on a project with filmmaker Ivy Lin called “Bitter Harvest“ which shares the story of Chinese hop farmers who worked in the Willamette Valley starting in the 1800s. Putsata spoke with Oregon Humanities Communications and Programs Assistant Julia Withers this winter to talk about covering the story. This interview has been edited and condensed for clarity. JW: What was the project you worked on? 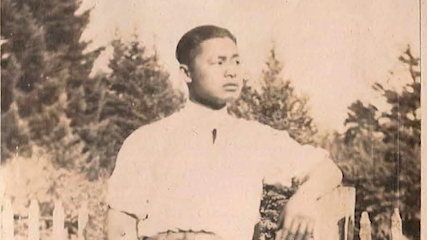 PR: I pursued a story on Chinese hop workers in Oregon from the late 1800s to the early 1900s. It really surprised me that the story even existed. I wrote about it because generally people identify the agricultural industry—and particularly hops—with Oregon’s and specifically Portland’s craft beer movement across the beer industry, which is a predominantly white, male industry. To me, it was surprising that in fact Oregon’s hop industry started with Chinese immigrants. There were many others—Native American hop workers, and some African American hop workers, but, by and large, the core majority of the early hop workers in Oregon were Chinese immigrants. And one of the other surprising things was that I had always assumed that Chinese immigrants came to Oregon to work on railroads when in fact, they had their hands in a lot of other industries such as agriculture. JW: How did you first discover this story? PR: One of the things I’ve always been fascinated by is our state’s relationship and history surrounding agricultural land. I think that’s because I grew up in Corvallis, working in the berry fields picking blueberries and strawberries, raspberries, and blackberries—really anything that needed picking. As a Southeast Asian immigrant Cambodian family, we were out there working the fields. So I’ve already had it in me to look toward stories that connect people to the land. When my parents left Corvallis and moved to Keizer, Oregon—very suburban—their subdivision is surrounded by hop fields and I’ve always been very curious about that. Then I came across a story about Chinese hop pickers in the Willamette Valley, which is where I grew up and where I still call home. JW: I didn’t know that you had that background working in agriculture or that you grew up in the Willamette Valley. Writing this story about the exact place you grew up maybe makes you look at it differently. PR: Yeah, I wasn’t sure whether to put this in the story, because I decided the story is really not about me. But, it turns out that about a mile south of where my parents live is the gravestone of one of the most prominent Chinese hop farmers, and that’s where his hop fields were back in the early 1900s, which I thought was pretty neat. JW: Once you found this story, how did it affect how you see your home and your family’s background working and picking berries in the fields? PR: As an immigrant in Oregon, I’ve always felt pretty conflicted. Once I actually understood my own culture and country’s history more deeply—in particular, Cambodia’s political ties with the US and what happened with the war in Cambodia—it really deepened the conflict that I felt towards the US. I had always grown up believing I was American and not knowing anything about Cambodia until I actually went to the country when I was sixteen. I discovered that the US engaged in secret bombings in Cambodia from 1968 until about 1973 along the border of Cambodia, which is where a lot of the Vietcong were hiding. The US intention was to rat out Vietcong soldiers during the Vietnam War, and the collateral damage was half a million Cambodians who died. When I understood my own history, that’s when I began to feel really sick to my stomach about the US’s role in the war in my own country. Flash forward to 2016 and I’m covering the story about the hypocrisy of the United States admitting immigrants from places like China to basically to do sweat labor—work on the railroads, work on the farms—and yet not allowing immigrants the same rights that everybody else in America had, which is to say that Chinese immigrants were not allowed to own land. To me that was very heartbreaking. What really the drove the story home for me was when I came across a recorded interview with one of the hop pickers, Ming Kee, who was never able to own land and grew up on the hop fields since he was a boy. He’s who I started my story with, and when I listened to his interview as an older man, I heard something in his voice when he talked about how his family could never own the hop farms. He said in the interview it was for lack of resources but it was also the law, frankly speaking. Something in my heart just cracked and I got a little bit teary, and I usually don’t. I have the reputation that it’s hard to make me cry. That made me teary because I felt that everything about the story and early Chinese immigrants in Oregon is the opposite of what we know in America. What we know in America is that we live in a country where if you do work hard, you get ahead. And here we have an entire group of immigrants—not just the Chinese, but that’s who I focused on in this story. This story says that America is really not what it is; that you can work hard, but there will still be things, actual policies on paper, that prevent you from reaching the American dream. And I think that’s what I found particularly heartbreaking. It made me angry at our state, at our country. As a writer and reporter, you can’t put that on paper; you just put out the facts and hope that people can gather the same kind of sentiment or take-aways that you got from it. JW: What did you learn by working on this project? PR: I will always be proud to call Corvallis home and to call Oregon home. I was exceptionally proud to have graduated from the University of Oregon, and yet there is this legacy that does exist for our state to have particularly racist policies and it does create a lot of conflict. One thing I appreciate about working on this project is that it sparked further discussion between my friend Kim [Nguyen] and I about our own experiences. I got an opportunity to learn more about her experiences growing up in Tigard, and I had no idea about the discrimination her family faced. Even though we’re very good friends, I don’t know that she would’ve just volunteered that information had it not been for us both working with Oregon Humanities and talking to each other about the things that we were learning. To me, that is something very special, when you get a group of artists together and they have something to teach each other. JW: What kinds of questions did the story raise for you? PR: I thought, if early Chinese immigrants in Oregon struggled so much with landownership, what about other groups of people? Working on the project, I thought about our state’s Native American tribes and lands that were taken from them. I thought very much of redlining in the Black community. All these stories are connected, and working on my small piece of it made me see how a common thread of injustice and discriminatory policies run through so many different communities on so many different levels. It can be heartbreaking; it was heartbreaking. But where there is hope is that we have an opportunity and a platform to actually bring these stories to light. Hopefully the more people that read our stories, the more they will begin to understand and see. I don’t think you can make change unless you have the information. One of the best things about this project is that we get to give the public this information; they can decide what to do with it.